This U.S. Dept. of Commerce facility includes six of 12 laboratories that make up the Office of Oceanic and Atmospheric Research. 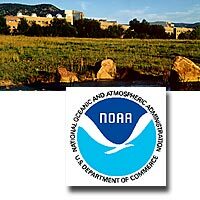 NOAA moved into a beautiful new facility, the David Skaggs Research Center, in 1999.